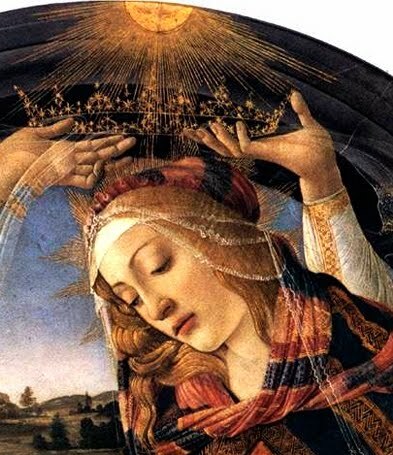 Does the Virgin Mary Deserve the Title "Queen of Heaven"? Also see my blog post "Levels of Honor in Heaven and Mary's Queenship". The transfiguration is the moment when Jesus’ divine glory was made manifest to the apostles Peter, James, and John on the top of a mountain. In other words, Jesus’ divinity was not veiled or hidden by his humanity. Instead, Jesus allowed it to shine forth in splendor and power. His face was bright like the sun and his garments were pure white. Moses and Elijah also appeared, and a great cloud overshadowed them. 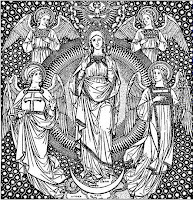 From the heavens a voice declared, “This is my Son, my Chosen; listen to him!” (Lk 9:35). Peter offered to build tents for the three figures, no doubt to prolong the experience! Catechism of the Catholic Church: "A foretaste of the Kingdom, the Transfiguration"
Transfiguration: Why Peter, James, and John?